This year’s American League Championship Series won’t be an unfamiliar scenario for baseball fans, because it’s a rematch of last year’s American League Division Series. Defending World Champion Houston will square off with Boston for the second consecutive postseason, this time with one more game and a lot more at stake. Houston wants a second consecutive pennant, Boston wants second blood. The Astros defeated the Red Sox three games to one in one half of last season’s ALDS. The Red Sox were on the cusp on forcing a decisive Game 5, but questionable managerial decisions from ex-skipper John Farrell ultimately led to the team’s demise. The Astros then defeated the Yankees and then Los Angeles (both in thrilling seven game series) to bring the Commissioner’s Trophy to Texas for the first time ever. Postseason homer machine George Springer will look to send his team to another Fall Classic (The Houston Chronicle). Both teams have different looks this time around in converse ways. Houston traded for superstar RHP Gerrit Cole last offseason while Boston signed slugging free agent OF/DH JD Martinez. What’s interesting is that both moves paid massive dividends. Aside Justin Verlander, Dallas Keuchel and Charlie Morton, Cole helped make the Astros’ starting rotation the unquestioned best in the game. Martinez, on the other hand, rejuvenated the Red Sox’ previously dormant offense and made it a force to be reckoned with again, coming within inches of the Triple Crown in the process. What’s even more interesting is the new dynamic the rematch presents. As previously mentioned, the Sox parted ways with John Farrell last fall after his controversial pitching decisions killed the team’s rally and got them bounced from the ALDS for the second straight year. Who did they hire almost immediately after? Houston Bench Coach Alex Cora, who resigned from AJ Hinch’s staff after Game 7. Though there doesn’t appear to be any hard feelings on Houston’s side, it’s safe to bet that it will still serve as motivation. Red Sox rookie manager Alex Cora finds himself opposite the team he helped lead win it all last season (The Boston Globe). Boston’s motivation is quite simple, don’t lose to the same team two years in a row. 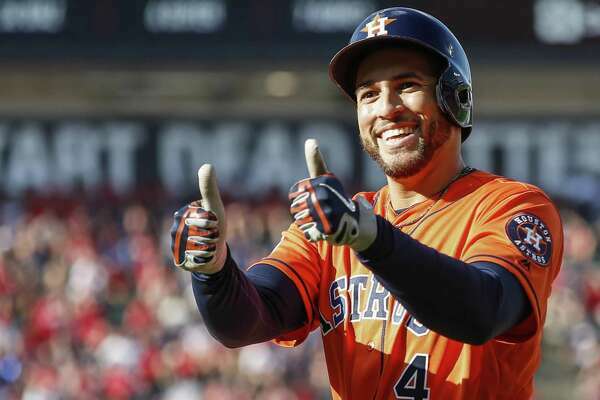 To do this, the team will have to find a way to topple that lethal trio of Verlander, Keuchel and Cole, but also to shut down Houston’s relentless offense, led in the ALDS by Alex Bregman and George Springer. Though he was injured for a majority of the year, Jose Altuve still goes without saying as well. Don’t get it wrong, though. The Red Sox are no slouches, featuring two MVP front runners in Martinez and Mookie Betts alongside Andrew Benintendi and Xander Bogaerts. Chris Sale anchors a rotation that fared quite well against the Yankees in the LDS (with the obvious exception of David Price). Chris Sale, Nathan Eovaldi and Rick Porcello were all excellent vs. New York’s powerful core, Cora will be hoping they can replicate that success. He has announced that Price will start Game 2 despite yet another disaster in ALDS Game 2, the reasoning behind this decision is anyone’s guess. Game 1 is Saturday at 8:09 PM ET on TBS from Fenway Park. Each team will lead off with its ace, Verlander vs. Sale. Don’t miss it!